Remember swap cards? Here are some examples from the ’50s, ’60s and ’70s. Some had great colour, others were great as pictures. All-in-all I consider them art. Apart from playing cards, there were swap cards inside food items such as cereal, loose-leaf tea, confectionery and cigarettes. 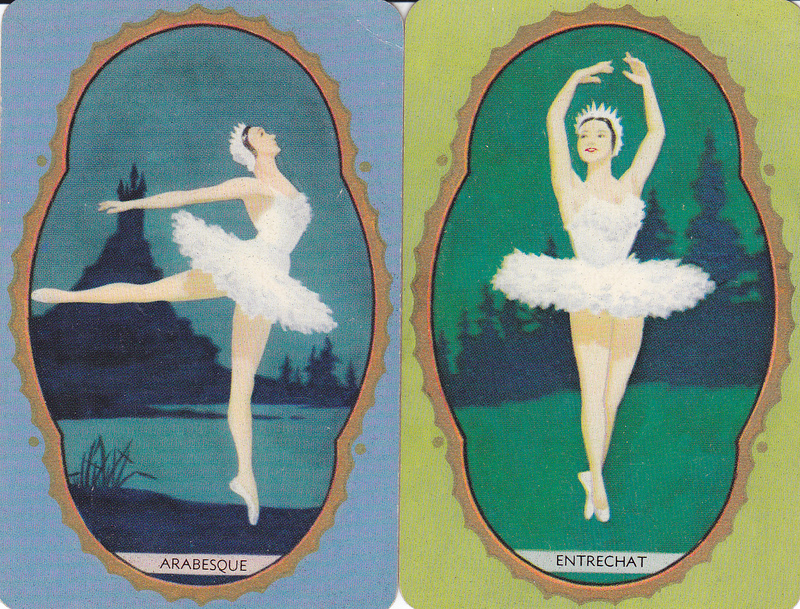 Here is an example of cigarette cards. These are from the ’50s or ’60s. This is part of the ‘Kings of England’ series of 25 which were available from Mills Cigarettes, Luton, England. 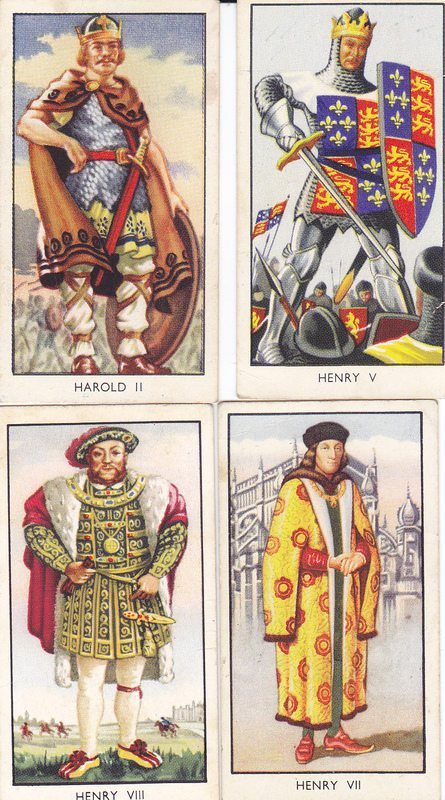 There’s Harold II (Saxon); Henry V (Plantagenet); Henry VII (Tudor) and Henry VIII (Tudor). 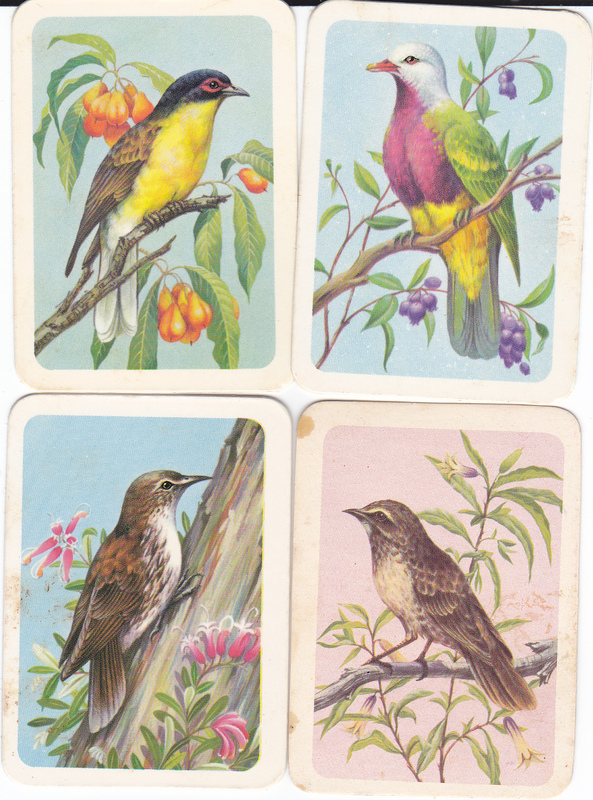 A really big series of cards was the Tuckfield’s Ty-nee Tips Tea Australiana Bird Series. For the avid collector, you could buy the album to put them in, which was available from Tuckfields Teas in South Yarra. This example shows a Yellow Figbird (from NT and NE Qld); a Wompoo Pigeon (from New Guinea); a White-Throated Tree Creeper (from SE Qld thru to Central NSW) and a Brown Songlark (found everywhere throughout Aus). Tuckfield’s followed this up with Popular Dogs series, but unlike the Bird series which went into the hundreds, this had only 32 cards. Does that make a smaller collection rarer or a larger one (assuming you had the whole lot – and who did?) So here we have an old English sheepdog; a Scottish terrier and a Basset hound. 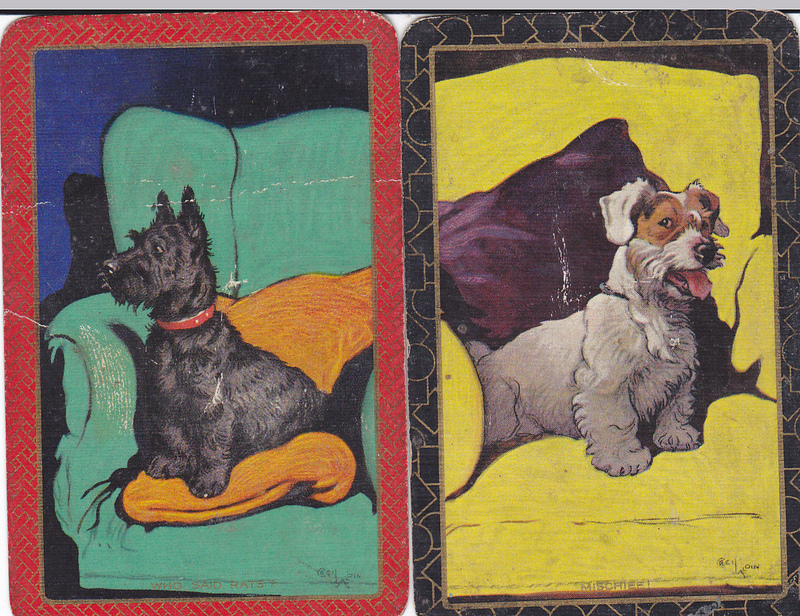 All of the Tuckfield cards were about half the size of playing cards, but twice as big as cigarette cards. Cereal providers were also serial providers with goodies to entice ‘lil-uns’ to eat their breakfast cereal. The really groovy one’s had toys and I remember badgering my mother to sift through the newly purchased packet of cereal to find the free toy and the horror on one’s realization that we already had that one. No, for some reason or other, mother’s just simply did not understand the necessity to return the open box of cereal and exchange for another one, especially if you were getting close to a complete set of something. I remember the plastic Moon Critters and Neptune’s Underwater World. 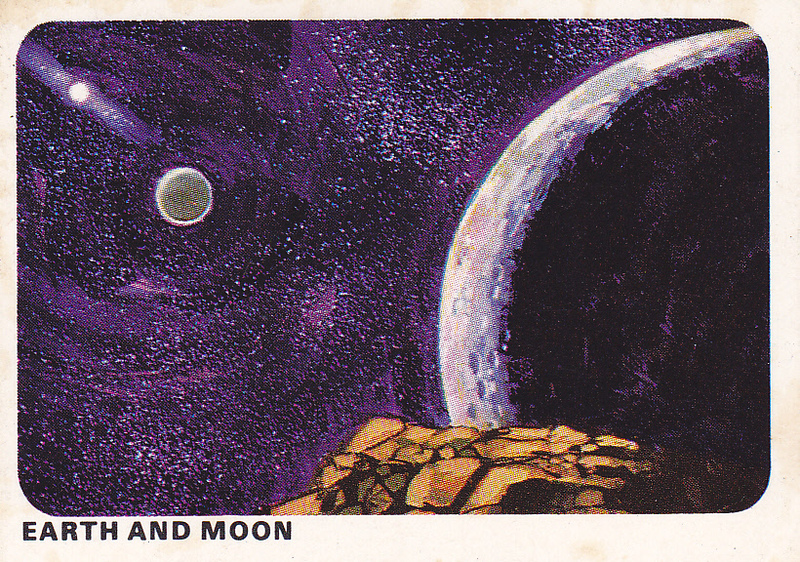 “Secrets of Space” Here we have exhibit No.18 Earth and Moon. (Number18/of 20) At the time, if you were ‘mad keen’ you could also apply to collect a full-colour ‘Secrets of Space’ project poster. 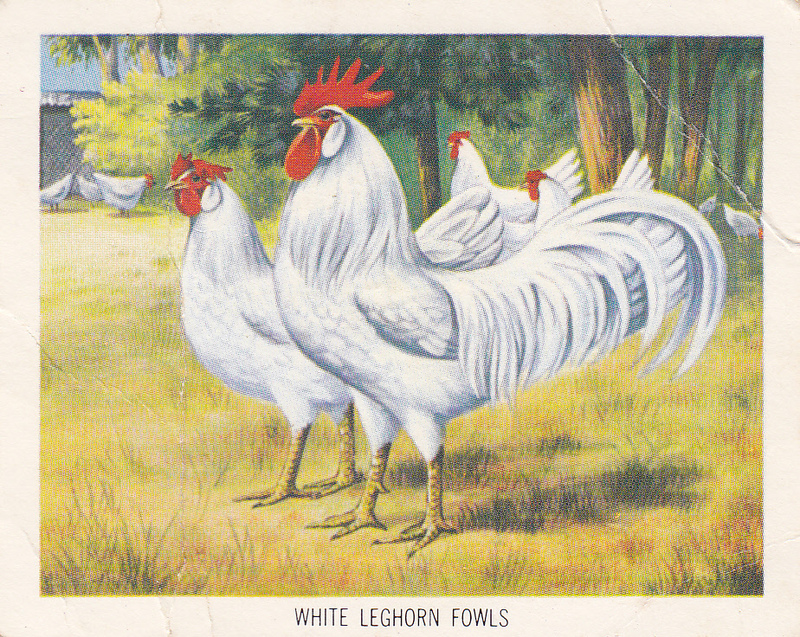 Send for it to Sanitarium Health Food Co.
‘Australia’s Wonderful Wildlife’ Here we have a card from the 1970 card series, (No.2/20). ‘White Egret’. 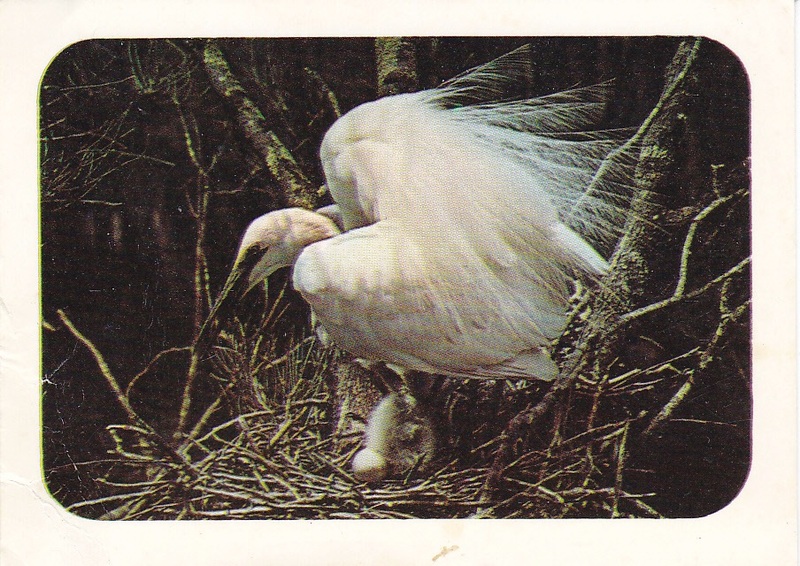 The egret fishes upon freshwater lakes and swamps. The egret’s feathers were once used as decoration for women’s hats, but thankfully the egret is now a protected species and these adornments are no more. Sanitarium and Nabisco were more likely to offer you a card, than a toy. 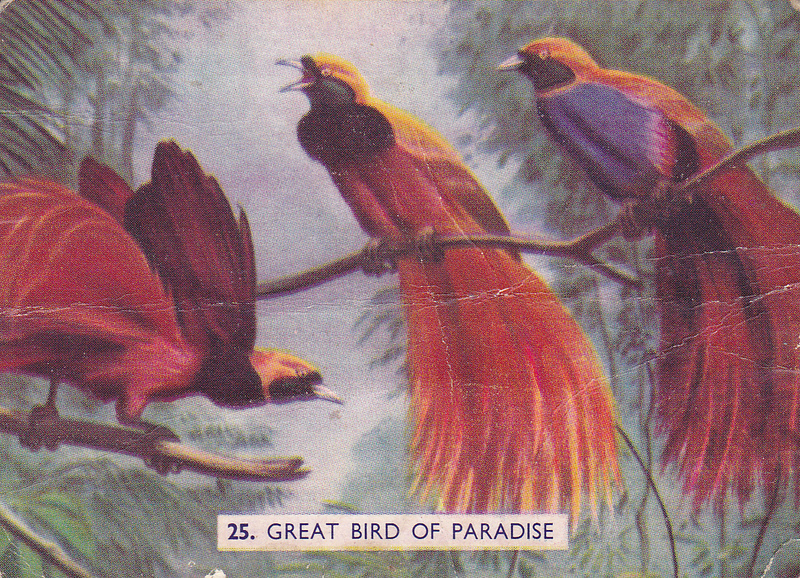 The Great Bird of Paradise card was one of 25 in the Papua and New Guinea card collection. Cards were included in every packet of Weet-Bix, Sanitarium Granose, Cerix Puffed Wheat, Cerix Puffed Rice, Weeta Puffs, Corn Flakes, Weeta Flakes, San0-Bran and Bran-Bix. Albums were available for 1/. which means this is pre-1966. 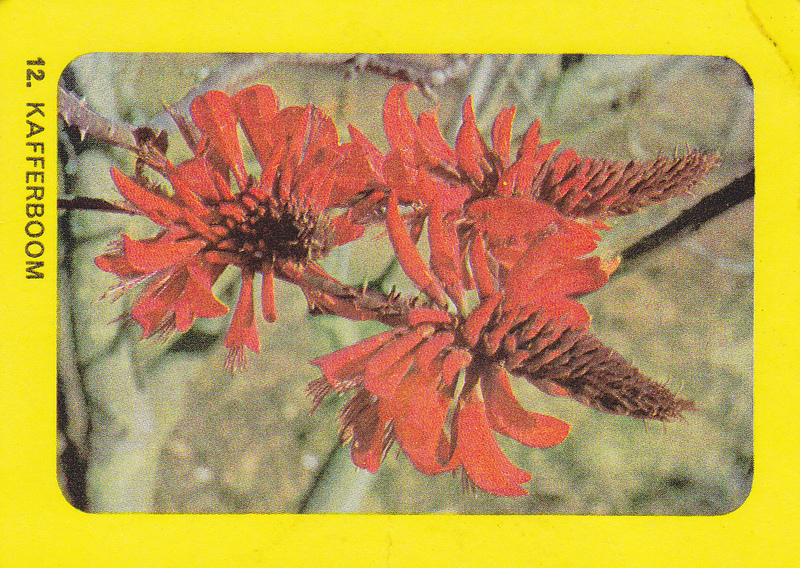 The Kafferboom flower is from the African Safari series of 1965. According to the back of the card, it is mostly found in the East Cape area of South Africa. 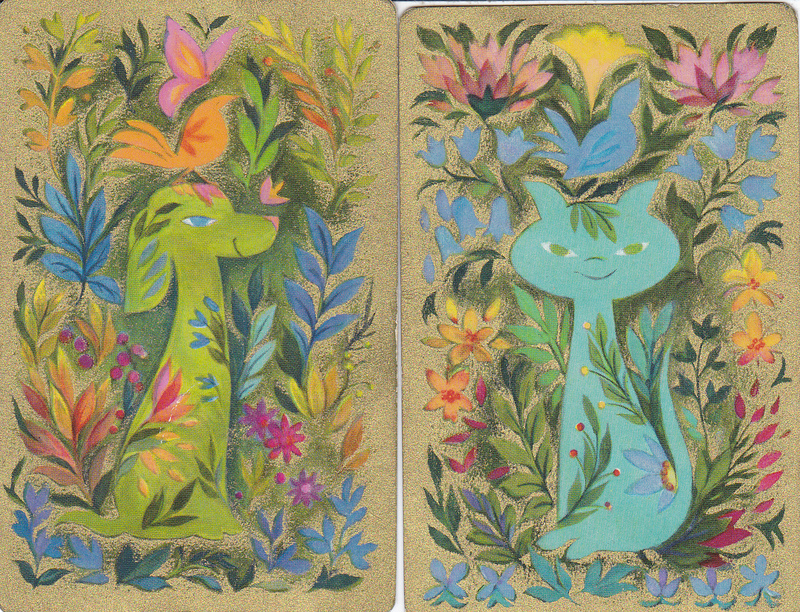 This was part of a 25 card series. Once again, available in your Weet-Bix packet. Albums were still the same price and could be purchased from your local Sanitarium Office or your grocer. For sill further examples see this post. But wait, there’s more. Sunicrust Bread wanted to get in on the act too. 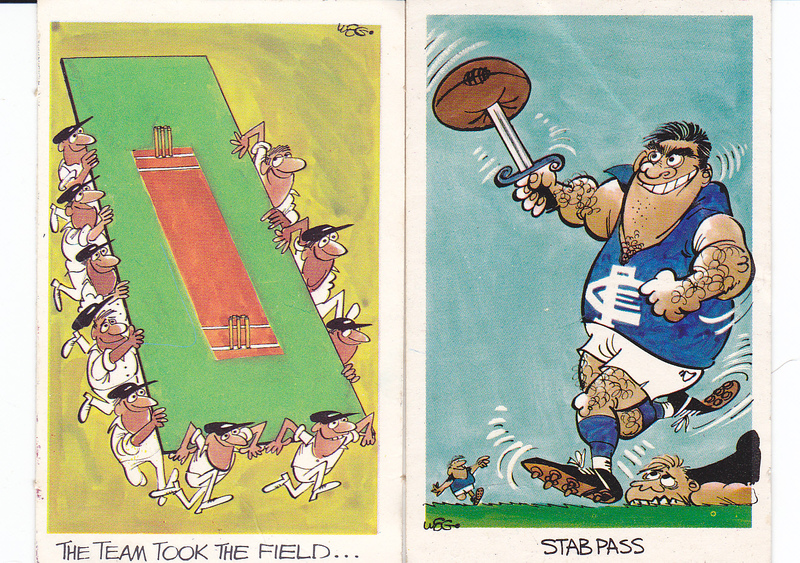 One year we had ‘Weg’s Footy Funnies (a set of 40 cards). Now, if you were a true-blue Melburnian, you would recognise Weg as being one of Melbourne’s greatest newspaper cartoonists. This was followed up with ‘Weg’s Comedy Cricket‘ (set of 40). This set is ca. 1972. Now of course ‘junk food’ had to get in on the act as well. So, you’ve had your breakfast cereal and toast, made a pot of tea, and pocketed the cards. If you were old enough (or not) and really cool, you’d grab a cigarette card from your packet of fags. 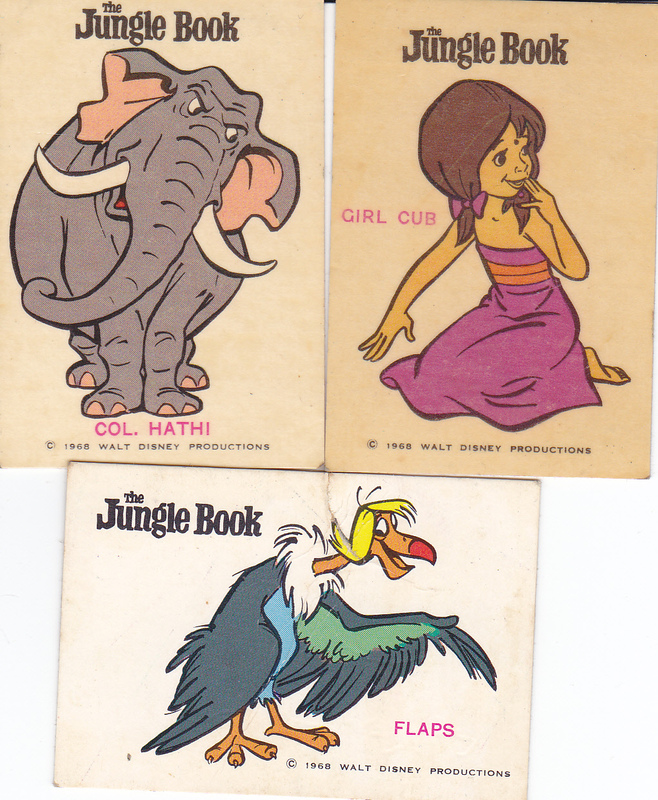 By afternoon tea time (or lunch) you could buy a packet of Twisties and grab the Jungle Book series of cards. There was a set of 16 to collect and the year was 1968. I am looking for a set, or partial, of Granose cards from my childhood: Blower The Whale.